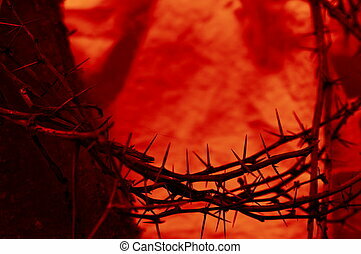 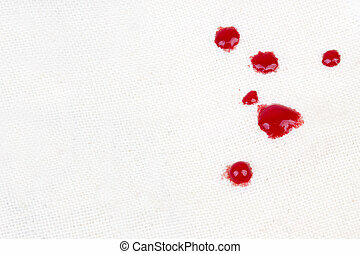 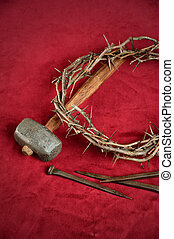 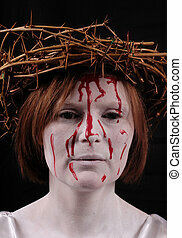 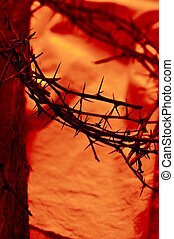 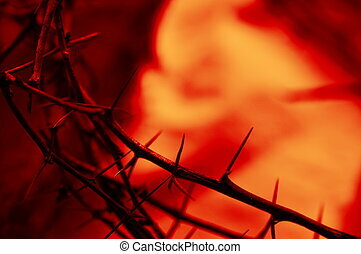 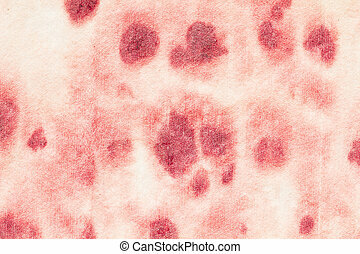 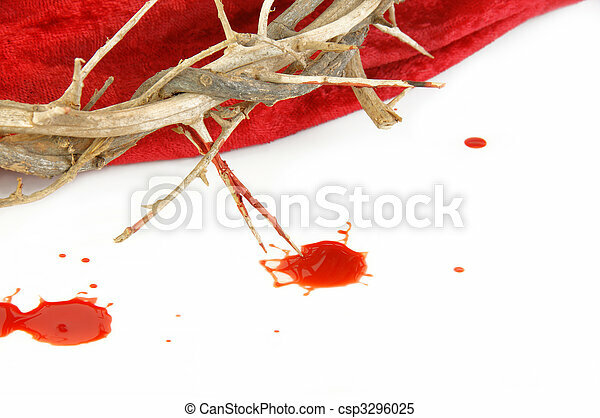 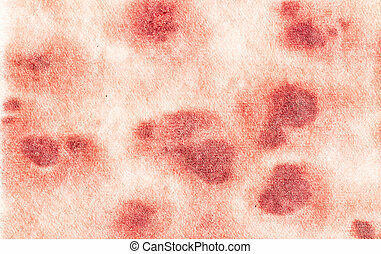 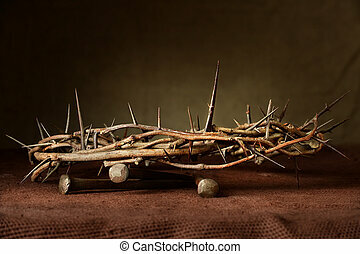 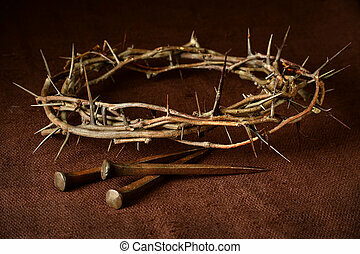 Crown of thorns on red cloth and blood drops. 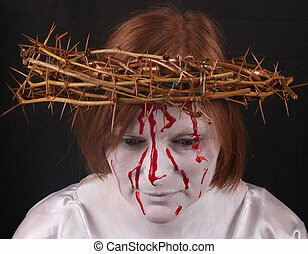 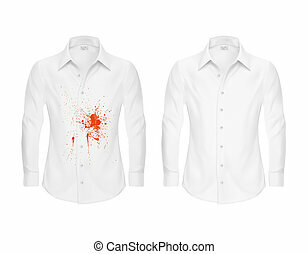 Crown of thorns on red fabric and drops of blood on white. 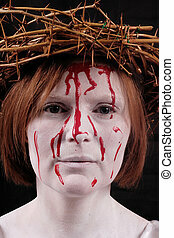 Crown of Thorns on red fabric and drops of blood on white.